Do You Have to Pay Back the Deficit of a House Sale in Foreclosure? 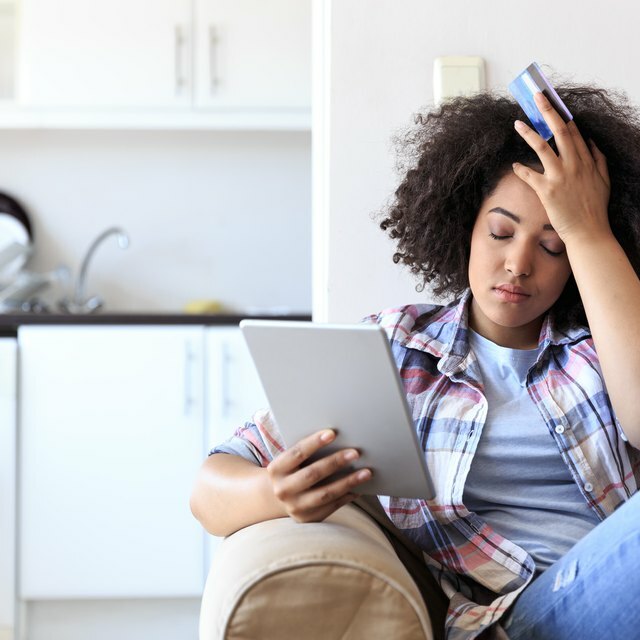 Homeowners find themselves dealing with foreclosure for many reasons, including a loss of a job or skyrocketing payments from adjustable rate mortgages. The process itself is often scary and heart-wrenching, but homeowners often leave their foreclosed house thinking the worst is over. Unfortunately, that's not always the case. The lender might still be able to come after you for the deficit between what you owe and what the house sold for. When a home is sold as a foreclosure, the bank rarely gets enough out of the sale to pay off your mortgage. Some homes are sold at auction while others are sold in the real estate marketplace as REOs, or real-estate owned properties. People buy foreclosures because they can usually get a great deal on a house. That deal can lead to problems for you, however, when the sales price doesn't pay off what's left of your mortgage balance. When you buy a home, your mortgage has two types of protection to make sure it gets paid. Your house is the physical collateral, but you also sign a personal guarantee to pay the balance. It's this second part that can be a problem for you after a foreclosure. In most states, the lender can use this personal guarantee to turn the secured debt into unsecured debt in the amount of your leftover balance. If your owed $100,000 on your house and it sold for $75,000, you still owe the lender $25,000 after the foreclosure. The mortgage company must get a deficiency judgment against you to force you to pay, although some states, such as California, don't allow deficiency judgments in non-judicial foreclosure cases. Even in states that allow deficiency judgments, banks are unlikely to seek one against you unless they have reason to believe you can afford to pay. For example, the bank might run your credit report to see if you are late on other bills besides your mortgage. If so, the bank might not be as likely to try to recoup the mortgage balance from you as it would if you were current on all other bills. If your lender filed a deficiency judgment against you, it can turn nasty quickly if you don't work out a payment plan. The lender can garnish your wages and seize some of your assets to help pay the balance. If you can't afford to pay, you might consider filing bankruptcy. Because the lender's loan is unsecured after the foreclosure, the debt will be wiped out as part of most bankruptcy plans. On the downside, bankruptcies tend to ruin your credit for seven to 10 years, during which time you might be unable to buy another house. Check with a bankruptcy attorney about your options and how bankruptcy can affect your credit report. What Can I Do if My Mortgage Is Upside-Down & My Lender Will Not Refinance? Not all lenders seek deficiency judgments against homeowners in foreclosure, but if you are afraid it might happen to you, you have a few ways to avoid foreclosure. Check with your lender about a hardship refinancing, which sometimes goes through government assistance programs to restructure your loan so you can afford to stay in your home. You can also ask about a short sale, in which you sell your home for less than your mortgage balance. In a short sale scenario, make sure your lender signs away his right to come after you for the deficit. A deed in lieu of foreclosure is also an option. You voluntarily give the house back to the lender in return for the lender releasing your from the debt obligation. This saves the lender the time and money it takes to go through formal foreclosure proceedings, but just as with a short sale, make sure you are released from the entire mortgage balance, not just the part that's satisfied when the bank sells the house. Columbus Real Estate News: Deficiency Judgments – Do the Banks Really Sue Homeowners?